With high ceilings, light wood floors and a rotating collection of art on the walls; Radio on Redchurch Street is the perfect mix of east-London-cool and glossy professionalism. 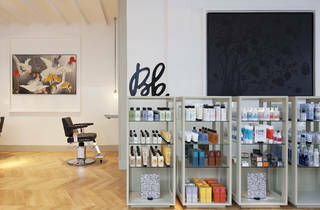 In fact, the Bumble & Bumble flagship has such a relaxed vibe that stepping back out into Shoreditch comes as a shock. The salon has two floors of cutting stations, with washing basins hidden downstairs. It offers cuts, colours and a range of hi-tech treatments from a team of premier-league staff. I was offered tea, coffee and prosecco as I sat down for my consultation, with the obligatory pile of fashion mags placed in front of me to read. It was senior art director Paris who got to grips with my (unruly) locks. She listened to my requests and even offered me sulphate-free shampoo when I said that was my preference. Throughout the cut she explained everything she was doing as well as tips for how to get the look at home. The result is the easiest to maintain style I’ve ever had. Have been going to Radio Salons for the past two years for cuts, with visits to other not so great salons in between/cutting at home. Usually go to Radio on Redchurch and recently Radio on York Way by Kings Cross. The atmosphere is pretty chilled, the new KX salon has some interesting art works and feels very spacious, really nice design touches. In that time I've had my hair cut by Rodrigo, Emily, Nico, Liz and most recently Birte - all were attentive and made useful suggestions on styling etc. Rodrigo took a long time cutting around my face which was kind of relaxing to feel like topiary - but this was actually the best cut I'd had there. I always come out with an easy to manage haircut, that folks always ask where i had it done! I went to the Kings Cross branch and had a manicure with Blanka. The salon is beautiful! I love the decoration. The staff is lovely and Blanka was very friendly. She did a brilliant job on my nails (naturally quite weak) I will go back! Finding a good hairdresser can be very tricky and so often it is a completely personal choice but Radio has consistently done a good job for me. 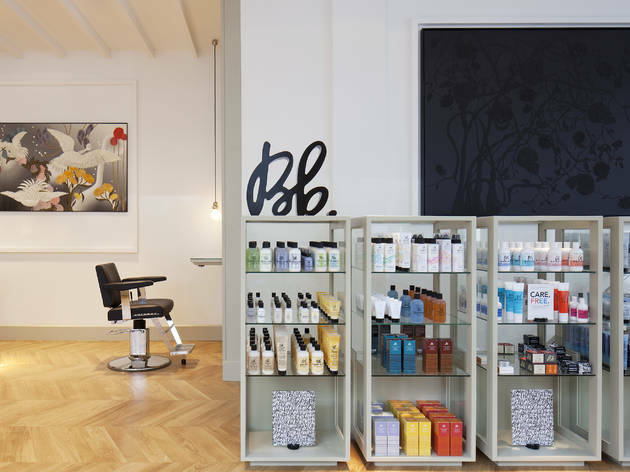 I prefer their branch on Broadway Market but the staff in both salons are incredibly friendly and listen carefully to your requests. I went in to get my hair dyed blonde (quite a drastic change from a brunette, and a change I was incredibly nervous about) and was extremely pleased with the result, I have now been back three times and can happily say I won't be looking for a new hairdresser anymore! Love this place, can't recommend Radio highly enough. WORST HAIRCUT OF MY LIFE! I have a bob that had grown out so went to go and get it trimmed and tidied up...it took Nico two hours to hack away at my hair leaving me with what looks like a bowl cut! The ends have been cut so thin leaving me with all this weight in the roots?! He didn't seem to take in to consideration when cutting me hair that i have curly hair and i would be half the length once it was dry? NEVER GO HERE I certainly won't be back!